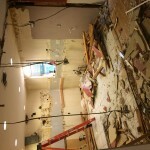 If you are considering a remodeling project don’t hire me! Be your own General Contractor, aka GC. If you are willing to take the time to run your own show and take the risks then I would say go for it. Why hire me with all my markups, fees, overhead, margins, messy subs and all those dreaded invoices? I wouldn’t do it so let me show you how to keep me out of it. First a disclaimer- I am a Design Build Remodeler by trade. That means that I don’t enter into projects that don’t have a good baseline for the entire scope and cost. So with that said I would not necessarily advise following my somewhat sarcastic advice. Step 1. You need a plan- Find a designer NOT an Architect who will work with you and design and draft a nice plan for you. Unless of course you have some design and drafting skills and can do the plan yourself. Find a design consultant to help you with the project. Someone like Jodi Swartz from Kitchen Visions who can help guide you in the right direction. She will charge you hourly for her consulting time and offer suggestions and advice on the design and make sure the space planning is complete. Going this route will save you thousands from hiring a traditional Design Build firm or architect. Take your design and your engineers stamped plans down to your town or city hall and apply for your building permit. Unless the project is so huge that the inspector wont let you run your own show, 9 out of 10 you can pull your own permit as the homeowner. Once the permit is issued its time to rock! Step 3. You need a dumpster. You will always need a bigger one or have more rubbish than you think so always go big. 30 yarders are standard in Boston and you dont pay that much less for smaller ones so always go big. (my mantra) If you are still not sure that you need that much, get an agreement to pay by the ton. Use a company that has good customer service and who can service you ie, dump and replace within 24-48 hrs max. I use Harveys out of Westborough. Step 4.You need to Demo Call up your buddies, your neighbors and your ex and invite them all over for a demo party! First another disclaimer- Make sure electricity, gas and water is all shut off and capped in the area that you are working. If you don’t know how to do any of that read a book. Also, make sure there is no lead, asbestos or any other toxic substance in the area that you will be working. If you are not sure, get it tested. Ok- Back to demo. This step is vitally important, especially if you are a newbie to remodeling. I’m sure you watched plenty of HGTV and have seen the proverbial demo day, but actually, if you plan on GC’ing your own project its vital that you participate in this step. Why??? Because by taking it apart, you get an opportunity to see first hand how your house is put together with all its various layers and cross sections. Even though the method and materials that you are taking apart may be 50 or 100 years old, the steps we use today to build are not all that different. You will see how the trim is attached to the door frames and how the plumbing is snaked through the floor and how the walls and roof interact in a complete system just to name a few, that is if you are paying attention. Tools for demo- Adze (this is basically a pick axe without the pick- my favorite tool. If you can’t find one then just buy a pic axe and hack off the pick) hammers, crowbars, heavy duty sawzall with lots of demo blades, trash cans and snow shovels. Dust masks and safety glasses if you care about that sort of thing. Disclaimer #3-DON’T take out any load bearing walls! 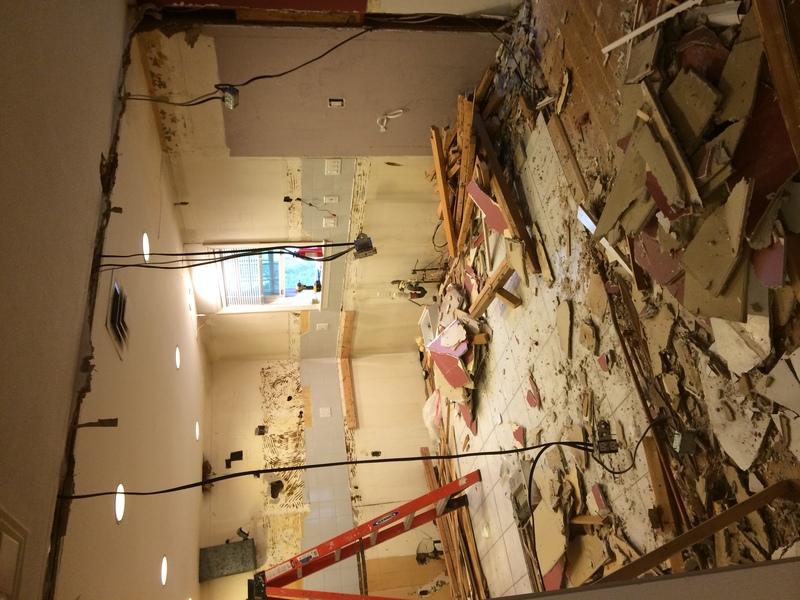 Not sure what a load bearing wall is? Follow its vertical path. Is it holding up floor or roof joists above it? Is it running perpendicular to those joists? Then its probably load bearing. But, since you hired an engineer and paid for his stamp you probably already know where these walls are and you know what to do! Ok- Break time. The demo is all done. doors, windows, plaster, fixtures, cabinets and flooring are all out and in the dumpster. The place is clean and swept and the beer is out of the fridge. Now what? Well, its decision time. Option 2. Go find a hired gun carpenter (A guy with a van) and have him and his helper give you either a flat price or a nice hourly rate to do the carpentry work that needs doing. For our exercise, we will assume you don’t know a 16 penny from a Buffalo Nickel so you will be interviewing your next round of Craigslist Killers, I mean Carpenters next week.